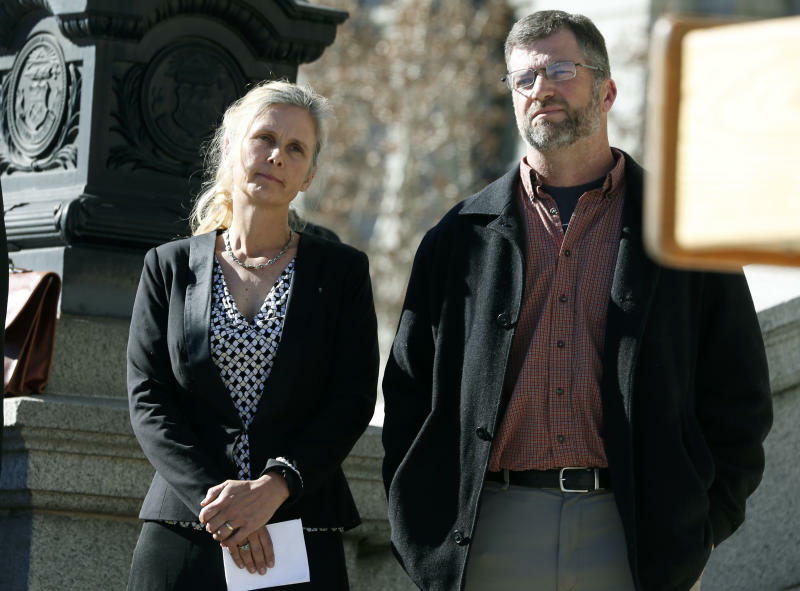 DENVER (AP) -- A federal trial in Colorado could have far-reaching effects on the United States' budding marijuana industry if a jury sides with a couple who say having a cannabis business as a neighbor hurts their property's value. The trial set to begin Monday in Denver is the first time a jury will consider a lawsuit using federal anti-racketeering law to target cannabis companies. But the marijuana industry has closely watched the case since 2015, when attorneys with a Washington, D.C.-based firm first filed their sweeping complaint on behalf of Hope and Michael Reilly. One of the couple's lawyers, Brian Barnes, said they bought the southern Colorado land for its views of Pikes Peak and have since built a house on the rural property. They also hike and ride horses there. But they claim "pungent, foul odors" from a neighboring indoor marijuana grow have hurt the property's value and their ability to use and enjoy it. "That's just not right," Barnes said. "It's not right to have people in violation of federal law injuring others." An attorney for the business targeted by the suit plans to argue the couple's property has not been damaged, relying in part on the county's tax valuations of the Reillys' land ticking up over time. Vulnerability to similar lawsuits is among the many risks facing marijuana businesses licensed by states but still violating federal law. Suits using the same strategy have been filed in California, Massachusetts and Oregon. Mirroring the Reilly complaint, several claim the smell of marijuana damages neighboring owners' ability to enjoy their land or harms their property value. The question now is whether jurors accept the argument. "They can claim a $1 million drop in property value, but if a jury does not agree and says $5,000, that's not that big of a deal," said Rob Mikos, a Vanderbilt University law professor who specializes in drug law. "That's why there are a lot of eyes on the case." But the anti-racketeering law also allows private parties to file lawsuits claiming their business or property has been damaged by a criminal enterprise. Those who prove it can be financially compensated for damages times three, plus attorneys' expenses. Starting in 2015, opponents of the marijuana industry decided to use the strategy against companies producing or selling marijuana products, along with investors, insurers, state regulators and other players. Cannabis companies immediately saw the danger of high legal fees or court-ordered payouts. That concern only grew when a Denver-based federal appeals court ruled in 2017 that the Reillys could use anti-racketeering law to sue the licensed cannabis grower neighboring their property. Insurance companies and other entities originally named in the Reillys' suit have gradually been removed, some after reaching financial settlements out of court. The case focuses on property in Pueblo County, where local officials saw marijuana as an opportunity to boost an area left behind by the steel industry. Most Colorado counties ban outdoor grows, forcing pot cultivators to find expensive warehouse space. Pueblo officials positioned their sunny, flat plains as the alternative. They created financial incentives in hopes of drawing growers to outdoor fields or cavernous buildings left vacant by other industries. Parker Walton was among the early comers, buying 40 acres in the rural town of Rye in 2014. Barnes said the Reillys made three separate land purchases between 2011 and 2014, gradually reaching more than 100 acres. They learned about plans for the marijuana business bordering their final purchase four months after completing the sale, he said. Walton put up a 5,000-square-foot (465-square-meter) building to grow and harvest marijuana plants indoors. The Reillys filed their lawsuit in early 2015. A year later, Walton announced the company's first harvest via Instagram, snapping a photo of a strain dubbed "Purple Trainwreck" hanging to cure in a dim room. Fewer than five people including Walton work for the company, which sells its products to retail stores, his attorney, Matthew Buck said. Buck said he's confident jurors will decide the Reillys' property has not been harmed. Buck warned, though, that defending against a similar lawsuit comes at a high cost for marijuana businesses while plaintiffs with support from a large law firm have little to lose. Cooper & Kirk, the firm handling the couple's suit, has a conservative reputation, including a founding partner who worked for the U.S. Justice Department during the Reagan administration. Barnes said members of the firm were "troubled" as states began legalizing the adult use of marijuana because of the inherent conflict with federal law, and they brainstormed legal strategies. Walton created a website this month to raise money for his defense. He wrote that a loss could jeopardize "all legal cannabis operations in all states." But some lawyers who have defended companies in similar lawsuits said those fears are overhyped. Adam Wolf, a California attorney, said he believes the suits are primarily intended to scare third-party companies into cutting ties with marijuana firms or persuading cannabis companies to shut down. But long-term, Wolf said the U.S. Supreme Court has curtailed lawsuits making civil racketeering claims against other industries. Courts could apply the same logic to cannabis, he argued. "What the plaintiffs seemed to be saying is anybody who touched, in any matter, any marijuana business is potentially liable," Wolf said. "And that is a soundly rejected argument by the courts." Barnes, though, said the number of racketeering lawsuits awaiting action suggests attorneys with no ties to his firm believe in the strategy.